Follow what we are doing in school by following the School Blog. Each class has their own class blog. We ask all families to provide a signed copy of our Home School Agreement. You may wish to explain the content of this agreement to your child. 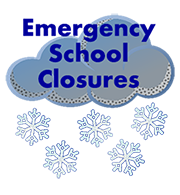 If your child is unable to attend school or nursery for any reason please telephone the school office as soon as possible to let us know. We also require a written note explaining absence when your child returns to school. If your child has sickness or diarrhea we ask that he/she does not return to school for 48 hours as this kind of illness can be very infectious. The school day begins promptly at 8.45am. Please ensure your child is not late for school. Children who are late will be marked late in the register. Late attendance is monitored as part of the schools absence monitoring. You can see details of our complaints policy on our Policies page.